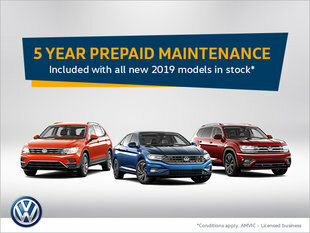 The Volkswagen Passat CC which eventually became just the CC certainly had its share of loyal customers, but Volkswagen knows the importance of making sure its lineup is continually evolving. With the new 2018 Volkswagen Arteon unveiled earlier this month at the Geneva Auto Show, the German automaker is introducing a new, more upscale model that buyers will love equally, if not more. Built on Volkswagen’s modular MQB platform, the 2018 Arteon is a 4-door fastback sedan just like the CC. It will arrive on the market later this year. 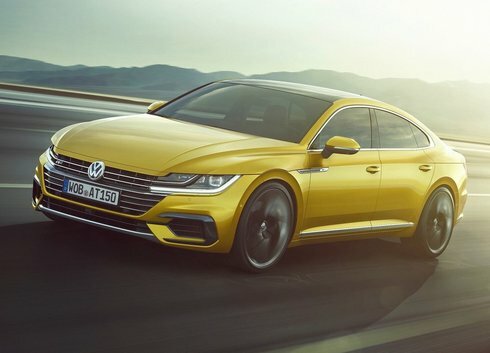 Although the 2018 Volkswagen Arteon will replace the Volkswagen CC, the German manufacturer announced during the unveiling that its latest sedan would be a more upscale model than the CC was. 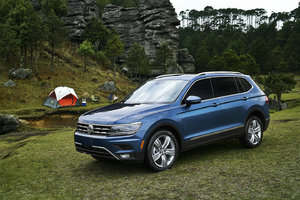 Volkswagen hasn’t announced any pricing, but it should not be too far off the current CC’s sticker price. 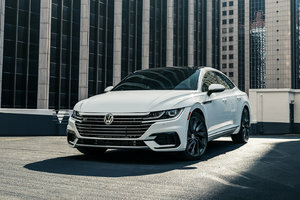 We know that six engines will be offered in the Arteon when it launches in Europe, but Volkswagen Canada has yet to confirm which units would make it to our market. On the other side of the Atlantic, three gas-powered engines and three diesel engines will be offered. Again, nothing has been confirmed as of yet but we expect that only one of those six engines, a 276-horsepower 2.0 TSI four-cylinder engine, will be offered on the Canadian Arteon. A seven-speed DSG dual-clutch automatic gearbox will likely by standard along with 4Motion all-wheel drive. The 2018 Volkswagen Arteon’s interior is certainly luxurious and features a 9.2-inch touchscreen with Discover Pro multimedia system and gesture control compatibility. Leather-Alcantara seats as well as full leather seats will be offered. Features include an adaptive cruise control system, automatic climate controls, automatic braking with driver alert, heated and ventilated seats, and a navigation system. An R-Line model will add 18-inch wheels and a more aggressive design. To learn more about the upcoming 2018 Volkswagen Arteon, contact us today at Fifth Avenue Auto Haus. We will provide more details about the new Arteon as they come in.